I can not tell you the last time that I actually read a real book, cover to cover. Well, at least not until something let me to this book. You know you live in a small town when you can read a book and know exactly where the events described in the book took place. The focus is a local Cemetery. 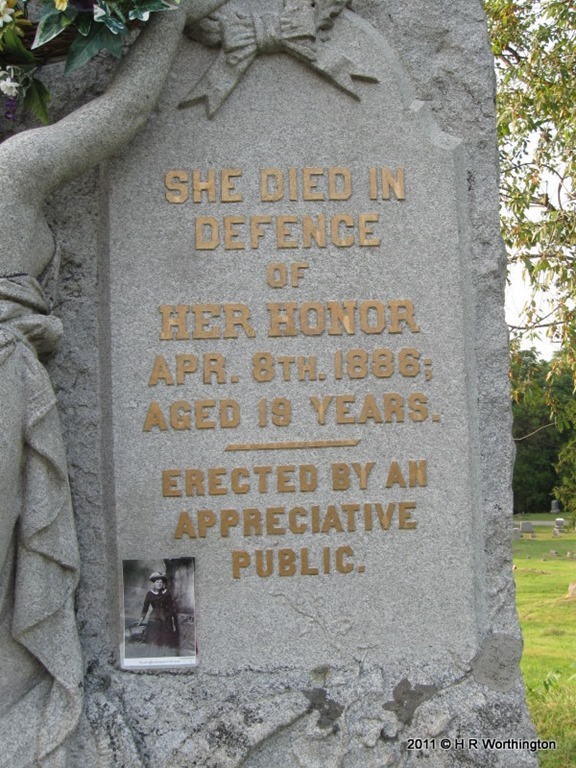 I have posted on the Find A Grave website about 30 photographs from this cemetery, including several that are in my Find A Grave Presentation. Actually, I have 129 photographs from that website, including this one. 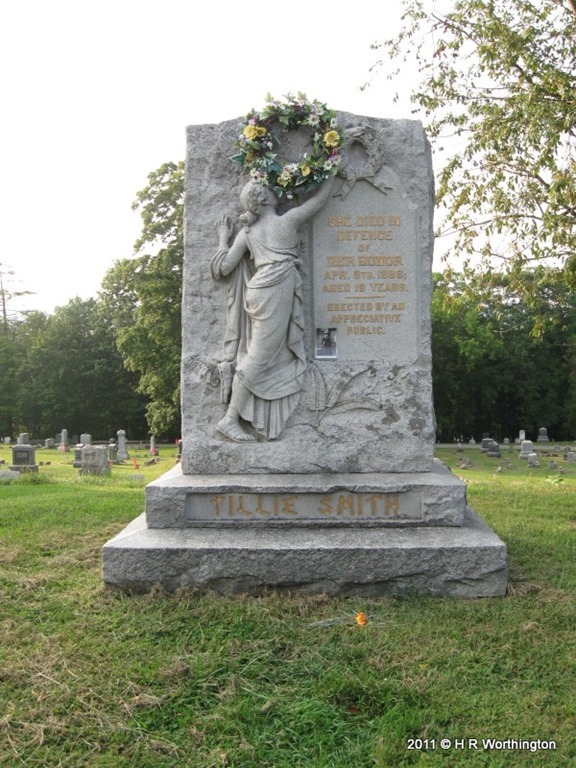 This book is about HER, Tillie Smith. What kept me reading this book, was the connections between the characters in the book. It also reinforced my interest in moving from Collecting Names and Dates, to gather information that might help tell a story about individuals that I might research. As I read the book, there was one thing that really didn’t make sense. But, that was answered on the last page of the book. (after the story ended). Just below the answer was a Surname, in that Cemetery, that I have researched. Small town: This story took place within a couple of miles from my house. I knew of the story, but hadn’t paid much attention to it. I had to keep reminding myself that it is a Novel. As I could visualize the places in the book. I have pictures of those places in my photo gallery. The kicker, is that the author lives in the area. Lastly, there is a small, side story that reminded me of my friend, The Legal Genealogist. But, that’s another story.